The ability of conscious communication of a living being with other living beings – which is one of the essential abilities that make living being a living being. The essential nature of sound – the most potent and mysterious element of the creation. The nature of Vedic scriptures – the greatest and deepest treasure house of the original superhuman knowledge. As followers of Prabhupada, our “default” understanding of Sanskrit’s nature and history is that Sanskrit is the original tongue of the existence, spoken in the spiritual world, as also by the original divine scriptures in the material world – Vedic scriptures; and also by the cosmic followers of Vedic knowledge – devas and other denizens of higher planets; and also by the original civilized humanity on earth during the pious ages (Satya, Treta, Dvapara). All other languages are subordinate and/or derivatives of it, through gunas and time. Srila Prabhupada is quite clear on this point: “Yes, Sanskrit is spoken not only on Krishna Loka but also in higher planets, of the demigods. It is called the language of God and the demigods. It was spoken also on this planet, when people were all godly, they used to speak in Sanskrit. Sanskrit is the origin of all languages of the civilized peoples. It is most perfect, not only descriptive. … No other language of the world can be compared with it. No other language of the world is so perfect as Sanskrit. 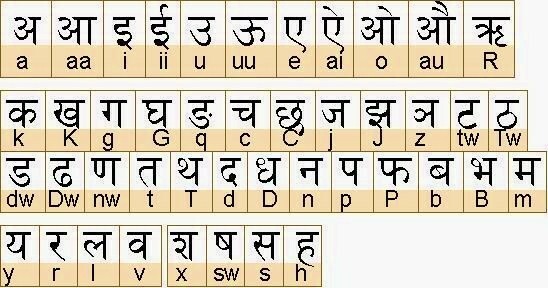 Any language near to Sanskrit language (like Bengali) is nearer to perfection. …” (Letter to Madhusudana, Los Angeles, 1 Feb 1968) There are several similar quotes. The Vaidika S. is very liturgical, formal, sacerdotal, and often cryptic, suitable for yajnic mantras and chants. The Laukika S. is more flexible, and is suitable for normal speech as well as creative poetry. Technically, the main differences are two-fold: (1) Vedic Sanskrit includes the science of diverse accentuation of syllables and of their diverse pitch (intonation), which changes their meanings and effects. The diverse placing of pitches and accents inside a sentence also changes the meaning and effects of it. The classical Sanskrit does not contain such rigidities; (2) grammars of the two are somewhat different in various aspects, like derivation of words, formation of words, syntax, etc. ; There are also other linguistic features where the two differ (the meanings of the words, syntax, vocabulary, sound organization – phonology). „… To ordinary perception, the language and contents of the Samhitäs, especially of the Rig Veda Samhitä, seem the most archaic. The Brähmanas, Äranyakas, and Upanisads appear to be afterthoughts, speculations by later generations about the meaning and purpose of the Samhitäs; they are written in a variety of successively “newer” dialects, gradually approaching “classical” Sanskrit. The Upanisads seem an altogether different sort of work, discussing as they do otherworldly concerns hardly touched upon in the “older” ritual sruti. There are many superficial reasons, therefore, for critical scholars to disregard the Vedas’ own claim to being a single, coherent whole. Not understanding the methods of sabda-pramäna, the unfortunate Indologists can only try to dissect the separate organs of the Vedic corpus, unaware that the organism is actually alive. So the modern view holds that actually both systems of Sanskrit have evolved at a certain point in time, parallelly with other Indoeuropean languages. They all allegedly evolved from a more rudimentary language, which was a more original language of mankind. Whatever it was, it is hypothetically termed as Proto Indo European (PIE) language. Of the Sanskrit, first evolved the Vedic (Vaidika) system of Sanskrit, more rigid and crude, and with time there evolved the classical (laukika) system, more rich and creative. Of course, there are very detailed and complex linguistic assumptions and observations that apparently favor such general view on languages. To try to enter those, it is an extreme ely demanding and thankless task, because it involves so many possible factors, which are inconclusively elaborated within a very limited area. Still, there seem to exist also views that are in between of the two views expressed. Some scholars seem to maintain that the Vedic Sanskrit is eternal, and that the Puranic and other forms of classical Sanskrit are just the current versions of Sanskrit spoken in different stages of cosmic time. This includes Itihasas, Puranas and much of the Upanisads. In this view, the observed differences between the two Sanskrits are explained as differences between the two parts of the knowledge: the part that has been meticulously preserved in its literally original form (the four Vedas), and the part that was retold in contemporary versions of language (all other works). The reason for this, to be short, is that in the four Vedas, the precise sounds held the power (because those mantras are meant to have direct energy-effects in yajnas), so the words were meticulously preserved. In the Jnana-kanda, Upanisads etc, and other “later” scriptures, the knowledge, not the physical sound, held the power, so the ideas were stated by later generations in their own contemporary Sanskrit, just as Prabhupada spoke in English. There was no practical need for these other works to be preserved meticulously in their original Vaidika-sanskrit form, because they were not used as sound-formulas in yajnas, while there was certainly necessity to retell them in contemporary Sanskrit, because they were intended for people’s understanding. To me this means that the Vedic Sanskrit is the original Sanskrit, while the Puranic (classical) is not an original form of the language – it becomes derived from the former, in different forms and styles in the course of the ages of cosmic existence. And, since we find, in Srimad Bhagavatam and the other Puranas, that the complete Puranic body is transcendental, original, and exists from the very beginning (as the fifth Veda, along with the “first” four Vedas), then it would mean that that original Puranic body must also be in the original form of language, and that is the Vedic Sanskrit. This is a different view than what i had got from the Sri Gopiparanadhana’s words. To maintain this view, i would find some difficulties. I’ll condense them as basically two difficulties. Let me try to express them. 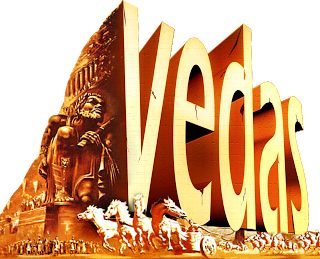 Vedic Sanskrit means special grammar, and special attention on the pronunciation in the terms of accent and pitch. Such attention was needed for yajnic performances, where all the mantras had to bring about exact subtle effects, and that was accomplished through such specialized pronunciation. All shrutis, from samhitas up to Upanishads, are in such Sanskrit, i.e. 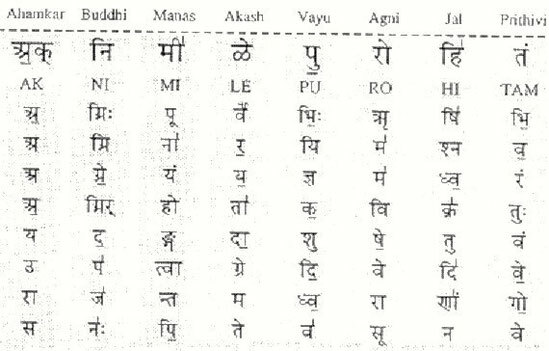 in different forms and styles of the Vedic Sanskrit. The Upanishads’ mantras were used in personal meditations and mystic practices (and maybe also in yajnas? - this i don’t know), which are related to the samhitas’ mantras, so there’s also a purpose for some of the Upanishads of being in such Sanskrit, as far as i understand. On the other side, Puranic and other classical-sanskrit-works were not intended as direct yajnic mantras or even as direct technical mystic practices. The Puranas and Itihasas were only recited during the bramha-yajna (formal study of, or recitation from, the various scriptures, that accompanied the chanting of the gayatri- mantra, as explained in TS 14.2). Instead, simultaneously, from the very beginning, they were also meant for all kinds of people, who might or might not master the pronunciation rules. This being so, i cannot see any logic for the Puranas etc. (nor even some of the Upanisads, which are presently not in Vedic Sanskrit), to have ever been in Vedic Sanskrit, the language that includes the accentuation and pitch rules. They are just not fit for such language, as far as i can conceive. Am i right? Not only that, but any normal, day to day conversation, is just not fit for such language. Is that right? (I ask, because i don’t know. The rest of the paragraph is meant for the case if the answer is “Yes”). Svayambhuva Manu and Satarupa, or their subjects, spoke to each other, didn’t they? In the beginnings of the universal history of the kalpa, people spoke, didn’t they? So, if a routine daily conversation is not fit for Vedic type of Sanskrit with its rules of intonation and accent, then they should have had at their disposal also another kind of Sanskrit language. Then that is a kind of original language. So, the classical Sanskrit has to have been given them in the very beginning, and it means it was already there, ready, extant, prior to the beginning. And that means it is a lasting kind of language, just like the Vedic Sanskrit. ? Scriptures as originally persons, not texts ? And, original ‘classical sanskrit’ as being lost? To this one can counterargue, to support the third view, that it is true that all the scriptures emanated from Brahma in the very beginning, but not necessarily as textual expressions, or as long verbal expressions, but as saktis, in their personal form. 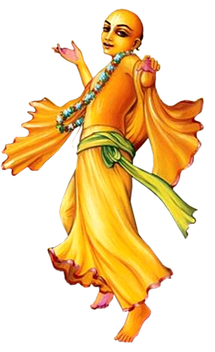 We know that on the Brahma loka there the Vedas live in their personal forms. Actually the sruti gana (srutis personally) are the personal energies of the Lord, and they offer Him prayers before the creation takes place, and after the creation’s taking place they appear in this universe in their also personal form. So, the different saktis of the Lord – Vedas, Puranas, Itihasas, poetic meters, etc (see Bhag 3.12) do exist eternally and appear from the very beginning. However, in their physical forms as the textual works they may manifest in different phases of time through different empowered sages and other personalities, in different sizes (e.g. like the catur-sloki-bhagavatam), and also in different contemporary forms of the language, not necessarily the eternal and original one – just as Prabhupada spoke in English, which is not eternal a language. And, regarding the first language spoken daily by first human beings, even if admittable that it was not the Vedic Sanskrit, being not fit (if it is so) for such kind of communication, that first form of Sanskrit which coexists with the Vedic Sanskrit is now lost, because of the changes it was subject to, during the eons. So the classical Sanskrit, which we have in the Puranas and other scriptures available today, is not the same as that language, and so is not eternal Sanskrit as Vedic (or as that one). These considerations also have some difficulties. “Long ago, Lord Brahmä, the grandfather of the demigods, performed severe penances, and as a result the Vedas appeared, along with their six supplements and their pada and krama texts. Then the entire Puräëa emanated from his mouth. Composed of eternal sound and consisting of one billion verses, it is the unchanging, sacred embodiment of all scriptures. You should know that of the various divisions of this Puräëa, the Brahma Puräëa is the first.” (Skanda Purana, Prabhäsa-khaëòa [2.3.5], quoted in Tattva Sandarbha 13.1. There are a number of related verses quoted in the same work from 12 through 16). Yes, one might say that such verses are not sure of being originally part of the scriptures and not composed and interpolated later, by a puranic adherent who wanted to establish that Puranas themselves, not only the Vedas, had an eternal and apaurusheya nature. That is the only way to explain away a reference like this. But one should carefully note that such verses were being used as authoritative statements, and referred to as such, by such truthful and venerable acaryas as Srila jiva Goswami and others. Therefore one is not legitimate in negating their validity unless one has a 100% undeniable proof. And we know that the historians’ theories and postulates on the history of Vedic literature, and specially Puranic literature, are highly pre-assumptive, and very rarely proved, at best. We are faced, therefore, with the sastric postulates that the Puranic verses were, in more or less the same forms, present from the beginning of universal life. In this light, the “first difficulty” (see the last subtitle) remains, as of my understanding. 2. If we use Prabhupada’s speaking the vedic knowledge in English, as an example of Vedic knowledge being told in a language different from the original eternal Sanskrit, then we should also note that Prabhupada took great care to meticulously preserve the original too, which means the original verses of those scriptures, in their original language. He preserved them and wanted them to be written, recited and learned, not only due to their being convenient as a lasting and universal reference, but also due to their special purifying effect, which means that their language had a quality which is not present in English, and is characteristic to the original language, and no other language. Therefore, if the Puranic or Classical Sanskrit were not divya, divine language, the sages would have wanted to do the same as Prabhupada did – they would have wanted to preserve the references in the original language, as they are specially purifying and potent. If, however, the language they spoke was the same original language, they would have been free of such consideration, and we know they were. Moreover, we can see that they sometimes cited some isolated famous verses praising a particular glorious personality like king Priyavrata. Those verses were already widely known in the speakers’ times, for they were composed in times far prior. But, they were in the same Sanskrit as the rest of the speaker’s speech, which means as the rest of the text. For example, see Bhag. 5.1.39-41 (about Priyavrata M.), or 5.15.8-13 (about Gaya M.), etc . So this talks in favor to the lasting nature of classical Sanskrit. 3. Prabhupada’s statements glorifying Sanskrit as an original language do not differentiate between the classical Sanskrit and Vedic Sanskrit. In such statements he refers to the Sanskrit of the Bhagavatam and the Gita also. He doesn’t say the Rig Vedic Sanskrit is the original, but the Bhagavatam’s is newer. He just says – Sanskrit, and it clearly refers to the language of the scriptures we are familiar with. 4. In assuming the temporal nature of classical Sanskrit, we actually project our historic experiences into the field of the unknown antiquities. Observing the records of the few millennia of history of languages available to us, wherever we look, we seem to see changes in languages. English of today is very unlike the English of 300 years ago, and the latter is very unlike the English of 1000 years ago. The same is true of other languages we have continual records of. 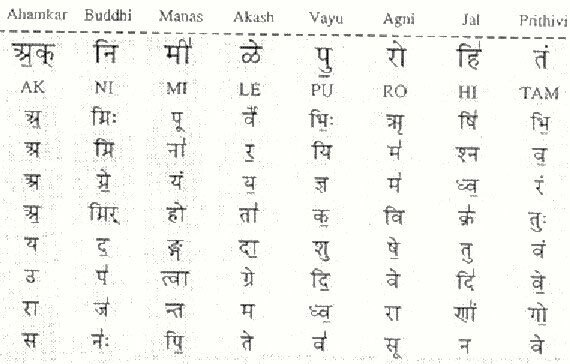 Even from Sanskrit there evolved so many languages, like Hindi, Gujarati, Urdu, etc. However, if it is to be believed to the scriptures themselves, the nature of the time in which we live is very exceptional in comparison with the rest of the time. The nature of the last few thousand years is very, very different from the nature of great majority of civilization’s time. The human civilization of last few millennia of Kali-yuga is cut-off from the communication with the devas and sages. It is left to itself. In all of the previous yugas, situation was not so. There was a continual and very interactive communication with cosmic management (devas and their personages) and with cosmic educational ministry (sages and their disciples). Therefore, the divya-language had all facilities to being continually preserved. Higher world, divya-world, is much more stable and constant in its history and its values, than our earthly world. In constant communication with that world, the language, and in fact all other aspects of civilized culture, had all facilities to remain in the same basic form. This is not to say that the different dialects of Sanskrit language, and even maybe different languages, didn’t exist. For example, we find in the Ramayana, when Hanuman came to Lanka and found Sita devi, he pondered upon the question of language in which to address Her: “I am not only exceedingly small, but am a monkey to boot. I shall, however, speak on this occasion the Sanskrit language as spoken by humans. But if I utter the Sanskrit language like a brahmana, Sita will get frightened thinking me to be Ravana. Only the human language (as spoken near about Ayodhya), which will convey my meaning (to Her), must I use. In no other way can She be restored to confidence, this irreproachable lady.” (Valmiki Ramayana, Sundarakhanda, sarga30, texts 17-19, Gita Press, Gorakhpur, India). Here we see the existence of standard human Sanskrit, and other dialects or maybe languages. This is normal, because it is only natural that in different regions different dialects of a standard language are spoken, according to the regional characteristics and mentality of the people. It doesn’t deny the contemporary existence of a stable standard language, presumably classical Sanskrit, which may be lingua franca. Even in my country, a very small country called Croatia, there are numerous dialects of Croatian, and a villager from the north will be barely able to understand the islander from the south, and viceversa, while if they both talk in standard Croatian, any Croatian will understand both of them. As far as planet is concerned, we have a nice example of English of today. It is the lingua franca for the whole planet. There are so many languages on the planet, but who can avoid learning English? Hadn’t i learned it, i could have no access to this venerable conference. In the same way, in the satya-yuga there may have been almost no other language on earth than Sanskrit in its various pure dialects. Then, as the yugas went on, and as the guna-combinations gradually acquired ever more of the low admixtures, there may have come to being more and more of other, lower dialects of Sanskrit, as well as more and more of other languages derived from it, and others which may have manifested independently (discussed in the part 3). However, just like the English of today, at those days the Sanskrit was the lingua franca of at least those parts of the world that were not out of touch with the mainstream of the civilization guided by rishis and rajarshis. So, the inevitability of transformation of language in the course of time is only natural for Kali-yuga, while it doesn’t have to be at all the predominant characteristic of other yugas, at least concerning the main language of the civilization. And, the existence of different dialects doesn’t have to imply the changing of the standard language in the course of time. So, in my understanding, the “first difficulty” remains: there should be another standard Sanskrit, stably co-existing with Vedic Sanskrit, and it is quite proper to be the classical Sanskrit as known from the scriptures. This is just a partial consideration of this topic of dialects, and will be somewhat expanded upon, in the parts 2 and 3 of the article. To me, this seems to indicate that the Gopiparanadhana’s statement about the original and eternal parallel existence of both systems of Sanskrit, is actually correct. sound) that emanates from the sky of the heart of the Lord).“ (The word „bRhatI“, or brihatii is from the same verse, and is translated, in the BBT version, as „the great expanse of Vedic literature“). As the One described by words, the Lord possesses multiple forms, such as Matsya avatära, Kürma avatära, etc. Similarly, the words describing Him also appear in many forms, such as the Åg Veda, etc. This verse explains how both the väcya and the väcaka possess innumerable forms.Just as the Supreme Lord (väcya) possesses unlimited forms such as Matsya, Kürma, etc., in the same way, the praëava (väcaka) also appears in many forms, such as the Åg, Säma, Yajur and Atharva Vedas, as well as the historical works, the Puräëas, etc. Because both the Supreme Lord and the words describing Him are eternally devoid of beginning and end, it is said that both of Them simply appear and disappear in every age. Here follow some additional passages that seem to confirm this view. „Śrīla Jīva Gosvāmī’s attitude toward the Itihāsas and Purāṇas is radical in comparison with the traditional view dividing the scriptural literature into śrutis andsmṛtis. He claims that the authentic Itihāsas and Purāṇas are also authorless, which means that their texts, even though they appear to have been written by sages like Vyāsadeva, do not change from one age to another. In texts 13 through17 he will cite scriptural support for his opinion.“ (Tattva S. 12, PP by Gopiparanadhana P, expanded edition, 5th paragraph). Another speculative possibility is also that the two systems are indeed eternal parts of the original vedic sound, but also that the classical Sanskrit somewhat changes with the time, so that what we have in the classical-Sanskrit-scriptures might be a fusion of the original laukika (original common Sanskrit) and those changes which got incorporated into it. As far as the scriptures themselves are asked, i do not know for any indications for the correctness of this view. This view would be more like a tentative blend of parampara-paradigm with some modern linguistics’ considerations. The changes we are talking about would primarily concern the words and their usage with different meanings. In some works there may be words which appear to not have real etymologies in classical Sanskrit, but rather seem to be sanskritizations of words that belonged to other languages. As a crude example , in the Bhavishya Purana there is mention of a Romaka city, which appears to be a sanskritization of the name Rome. These considerations are mostly modern linguistic considerations. We actually cannot know for sure which of the words in reality belong to divya-language. Also, a word may belong to original Sanskrit, then have been borrowed by another language, and then when found in a scripture we may think it to be a loanword, or a sanskritization of an alien word. This seems very complex and intricate matter. To put it shortly, the matter is highly technical and speculative. Considering the fact that we have only accurate lingual records of less than two millennia, and that records beyond that are much less dense to give a really accurate picture, and that beyond all those records there’s an almost unlimited expanse of time for which we have no lingual record (if we exclude Puranas and other texts as real records of those times), we need to conclude that such considerations are at best of a very limited value, but certainly not dependable to allow us to come to definitive conclusions about the nature of classical Sanskrit. Of course, modern linguists, who refuse to adopt such a broad picture of reality, will have more grip on their theories, but here we want to be realistic and epistemologically careful. The parts 2 and 3 of the article will, indirectly, give some further and broader considerations related to this topic. As far as i am concerned, the sastric data available to me, and my best reasoning, lead me to conclude that what i had initially got from Gopiparanadhana’s words, i.e that the sastras and parampara maintain that the two systems of Sanskrit , the Vaidika (“Vedic”) and Laukika (“classical”) are two eternally and “simultaneously existing dialects of the same language, one liturgical and the other vernacular,” and that there are unlimited different minor dialects within both of major Sanskrit-systems (vedic and classical), and all of them existing within original Vedic sound. However, i would beg learned devotees, for their confirmation or otherwise, and for their sharing of some of their insights on the topic. SOME LIKELY SOURCES that might be helpful on the subject, as far as i heard, could also be the main texts of the six philosophical systems (most notably Vedanta of course, but also others). There should be some very relevant portions. To them i have no access, but would be very happy and grateful to have it, if some of the readers would share some access to those, or any insight from those. To answer some of the questions, we will need a person who has certain learning in both the linguistics and the scriptures. As i suppose that among us there might be not a very great number of those, i therefore beg you, if you know some devotee of such qualifications, let them know of this humble request, so that they may decide to help here. The main parts of the main questions are as underlined text. The main parts of the subsidiary questions are as dash-underlined text. There are also smaller questions as normal text. In responding to this article, i beg devotees to please give clear references, as far as possible, to back up their insights or conclusions. This helps tremendously to define a clear understanding of topics. Also, this inquirer can be reached at jk_gaura@yahoo.com. Any clarifications will be very welcome. I humbly thank the readers in advance. In the 1st part of the article i tried to summarize upon the differences between the Vedic and Classical Sanskrit, and to summarize a couple of views upon the question of the origins of those differences (http://www.dandavats.com/?p=11538). Mainly, the question is whether we can accept as sastric the view that those differences exist eternally, as two natural and eternal varieties within the unlimited expanse of the Vedic sound. We indicated that such a view is not accepted by the mainstream academy, whose contention is that those differences must have appeared only with time, as a result of natural evolution of language from its crude and primitive, rigid stages of Vedic Sanskrit, to its later, more diversified, creative and sophisticated stages of Classical Sanskrit. We somewhat discussed also a views in between of these two. The conclusion, though open to revision, was that the sastric and samradayic view is as we said above: As far as i am concerned, the sastric data available to me, and my best reasoning, lead me to conclude that the sastras and parampara maintain that the two systems of Sanskrit , the Vaidika (“Vedic”) and Laukika (“classical”), are two eternally and “simultaneously existing dialects of the same language, one liturgical and the other vernacular,” and that there are unlimited different minor dialects within both of these two major Sanskrit-systems, and all of them existing within original Vedic sound. However, i would beg learned devotees, for their confirmation or otherwise, and for their sharing of some of their insights on the topic. The next interesting point is that the linguists identify several different “layers” of Sanskrit, or its “dialects”, grammatical and stylistic variations of it, within the Vedic Sanskrit (means within the sruti literature itself). Then, within the smriti-literature itself (comprising Puranas and other classical-sanskrit literature), they also identify several different “layers”, or variations, of the classical Sanskrit itself. That fact is not inconsistent with the statements of the sastras and sampradaya, for those statements clearly allow that, apart from the major differences between the two major systems, there exist also unlimited different minor dialects within both of these two major Sanskrit-systems, and all of them existing within original Vedic sound, as we said a few lines above, as well as in the part 1 of the article. Some of the Upanishads are even very close, linguistically, to the classical Sanskrit of the Puranas. In such a view, the “phase” of Classical Sanskrit begins with the famous sage-grammarian, Panini, who wrote the most famous known grammar-work on Sanskrit, the Astadhyayi. His work is the most systematic grammar-work preserved, and is the basis of the known classical Sanskrit. There were other grammarians who presented grammars, prior to him, as is known from the references in his work, as well as from the references in the works of significantly later commentators and authors. But, the works of the ancient grammarians other than Panini are lost, except for a few rare pieces. Is it the only reasonable view indeed? What kind of differences are, those linguistic differences between the Puranas and Puranas, and between other smritis and other smritis? ; Are they such that they necessarily indicate the changes of language with time, or they allow to be explained, perhaps with a little broadening of mind, as simply different styles and moods of literary presentation, which, although being mutually different to a certain degree, may exist simultaneously within a greater and richer original language system? Remember, that is what the Sanskrit should be, according to (my understanding of) the already cited Bhag.11.21.38 with Visvanath CT purport (see it cited the part one), which to me gives a picture of a language system unlimitedly rich and diversified within itself from the very beginning of creation (and even before it), containing diverse usable and allowable language rules, suitable to the needs and moods etc. of a subject which is to be expressed. Is this understanding allowable to apply to those smritic differences? In any understanding, the whole picture will depend on the nature of its underlying paradigms, because it is from those basic paradigms that the entire understanding ramifies. So we start from the fundamental paradigms. The whole academic world of the last few centuries has been built upon the underlying paradigm that every and any organized, or complex structure, is something that cannot exist originally on its own, but is something that has to develop with time and in time. No other possibility is there for the existence of anything complex and consciously organized. So, if there is a complex, many branched, multidivisioned structure, as are the language systems, it could come into existence only by a gradual development in the course of time, through many stages. If something is many-branched, then it necessarily means that each branch of a phenomenon had to develop with time, on its own, due to special factors and circumstances. So the existence of many branches of Sanskrit language and vedic literature can only mean there was a gradual accumulation and stratification of material. But the above underlying paradigm is not something that is logically provable as a universal law, but is just an arbitrarily chosen assumption, an arbitrarily imposed axiom. After all, such a view is unable to explain its own crucial moment, the crucial moment of the very process it proposes : how the very first organized-ness came about. Thus, the bio-evolutionists were never able to explain how the first living thing came about, and in the same way, there is no valid and confirmable explanation of how the first human articulated language or languages came to exist. How the unarticulated communication, an ugh-ugh-language, where there’s no consistent connection between thoughts and words, became an organized and systematic communication where thoughts are organizedly expressed through precise sound combinations in a precise syntax, without a superior educational direction? How it came about the point where “mmm-aaaa-ugh”, combined with gesticulations, became “May I tell you about the idea that came to my mind all of a sudden?”? Our view is that the human being, supposed to begin to communicate articulately, ought 1) to already have a ready psychological potential to do so, i.e. to articulately communicate; 2) to be given a superior educational direction which will offer him a live and ready, exact experience of such a communication during an amount of time, thus enabling him to assimilate it (whether external experience, like a child hearing others communicate, gradually assimilates the system; or internal, like a child who suddenly begins to speak a language foreign to his native language, due to the mental revival of memories from a previous life); Is there any other way to make a conscious being a speaking one? As far as i know, only vague ideas, called theories, exist, but far from anything consistent. Is this right? However, if we adopt a view that an original language, or languages system, exists on its own, then the problem disappears. And our assumption is not deniable logically. It can be denied only if we proclaim and accept the above prejudice, which says the contrary, as a logical axiom. It is undeniably clear that for any organized-ness, there has to be an organizational concept. Without a subtle or conscious concept of the organization, there can be no organization. Without information, there can be no organization. So any organized structure necessarily requires its own seed – a conscious concept of what will the thing look like. An archetypal set of characteristics of a thing has to be there on a conscious level, in order for the thing to exist. The Vedic system is exactly this. Any existing phenomenon has its subtle seed, or béja. Subtle means – a conscious idea of it. To understand our simple view on the multidivisioned-ness of Sanskrit language and vedic literature, one has to first deeply familiarize himself with the Vedic concept of existence. One needs to open his intellect to this option, at least, and let it go in. It is so because the whole Vedic logic of existence of things in space and time is radically different from the unfounded but deeply rooted paradigm in the academic mind of the last few centuries, which we described above. In the Vedic concept, seed for each and every one of the living forms already exist, and those seeds consist of the subtle information for each of them, i.e. the conscious ideas, for each of them. The living forms never “evolve” by a blind or unconscious process, independent of subtle information. This holds not only for the living forms, i.e. those that obviously manifest the symptoms of life, but holds actually for any complex or organized structure – no such structure develops independently of subtle information. And the whole universe is such that if we look closely to any detail of universal existence, we will find no unorganized structure – everything in the universe, to be honest, is ultimately very complex, extremely complex. Ultimately therefore, for anything existing in this universe, a subtle organizational plan is required. Indispensable. For a broad and unprejudiced intellect, such a conclusion is inescapable. Some references about this idea of béjas: you can find it nicely summarized in “Human Devolution” by Drutakarma Prabhu (Michael Cremo), chapter 11, pages 485-486. There he corroborates the idea by the following references: BG 7.10, CC Madhya 19.152pp, S.Bhag. 3.10.7pp. Some of other relevant references would be: S.Bhag. 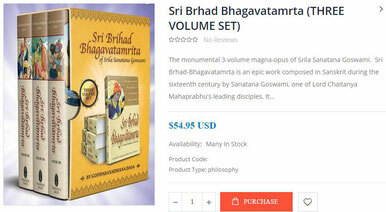 2.1.25pp, 2.5.11pp, 3.5.27, 7.9.33-34, 11.12.20-23, Brahma Samhita 5.13. One could find many others. What to say then about language, which in itself is not only undeniably organized and complex phenomenon (the linguists know it well), but is also much subtler than the mere things in the universe, and much more interconnected to consciousness and closer to it? So, in order for any language to exist at all, a set of archetypal characteristics of it should already exist somewhere on a conscious plane of the universe. The particular language will manifest exactly then when the time-energy activates its particular subtle set of archetypal characteristics, letting them manifest in the gross reality. (As far as time, it is a divine energy that activates the latent seeds of things and events in the universe. 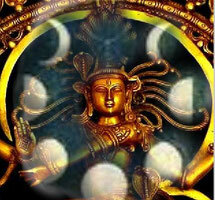 Anything, any phenomenon and event in the universe, is the particular combination of gunas. When the time, who is the mover of the gunas, brings about that specific combination of gunas which corresponds to that event, and which is until then written on a subtle plane as the event’s seed, then that particular thing or event or phenomenon will manifest – the seed will sprout and bring the fruit. In other words, there is the seed, and when the time makes outer circumstances appropriate, the seed brings about the fruit.). A language is a system of expressing the ideas through sound. It is extremely subtle. It involves the mind, intelligence, and the subtle prana. The qualitative properties of the system by which one expresses his ideas through sound, will depend on the quality of his internal organs – mind and intelligence, who are the repository of the ideas, thoughts and will. Altogether they may be termed, and often are, as “mind”. According to the guna-combination by which the mind is dominated, his thoughts and ideas will have a certain quality, and will condition by that quality the sound when they become expressed. They will condition by their quality the whole sound system of their expression, which is the language. And, as gunas change, the sound system will also assume changes. Necessarily. Therefore, different languages “develop” by the manifesting of specific combinations of the gunas in the course of time. Thus for any language there already exists a set of its archetypal characteristics, latently present in the gunas themselves. As far as Sanskrit is concerned, it is samskrita, or refined, purified, or, as we said, it is the inherent feature of båhaté, or çabda-brahma, which means pure vedic sound. As the property of eternal and pure vedic sound, it is also eternal and pure, and it elaborates the vedic sound in many pure verbal varieties, either vaidika or laukika (as per 11.21.38-40), thus reflecting the variegatedness of the transcendence. Because also the higher realms of the universe are predominantly free of lower modes, Sanskrit is also their language. Of course, as we said, on earth it can become, and does become, degraded with ages, becoming mixed with tinges of lower modes. However, the aforesaid pure scriptural Sanskrit, divya-language, in its various varieties of expression and style, remains the lingua franca of the mainstream of the civilization guided by rishis and rajarshis. It specially remains the preserved language for the yajna-performances, meditations, upasanas etc. 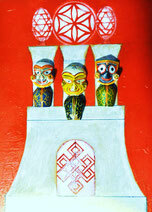 (vaidika Sanskrit), as well as for illuminated conferences, discourses and speeches (laukika Sanskrit). Until, as we said, Kali-yuga advents, at which point the civilization gradually becomes cut-off from the connection with educational and managerial personnel of the universe, and the pure language remains only in the scriptures. With 22 constitutionally recognised languages in India, and hundreds more spoken, how is it that many Indians’ English accents sound fairly similar? Part of the answer has to do with a set of sounds used across the country: retroflex consonants. Indian retroflexes are fun to produce. Curl your tongue back and strike your palate, and you're in position to articulate one. English distinguishes voiced and unvoiced consonants (the difference between [d] and [t], based on whether the larynx vibrates). Many Indian languages further distinguish consonants by whether a puff of air comes out or not (aspirated or unaspirated). So the retroflex consonants in, for example, Hindi, include ʈ (unvoiced unaspirated), ʈh (unvoiced aspirated), ɖ (voiced unaspirated), and ɖh (voiced aspirated). Most Indian languages also include two more retroflex consonants, ɳ and ʂ. It’s common for Indian English-speakers to substitute retroflex ʈ and ɖ where Western English-speakers use [t] and [d], which Indian languages don’t have. This substitution is part of Indian English’s special sound. With so much linguistic diversity on the Indian subcontinent, commonalities like these are striking. Hindi and Kannada, for example, share an entire sound catalog. The structure of the two languages’ alphabets is nearly identical, even while the scripts are different. Their vowels and consonants are mapped onto a grid based on how they are formed in the mouth. The grid is organised the same way in Hindi (Devanagari script) and Kannada. Retroflex consonants form one row of this grid. These similarities obscure a more complex relationship. Strictly speaking, Hindi and Kannada aren't related. Hindi is an Indo-European language, part of a family that stretches from Bangladesh to Ireland. Gujarati, Punjabi, Marathi, and Bengali, spoken in northern India, are in the same family. The Dravidian languages, which include Kannada, Telugu, Tamil, and Malayalam, are mostly limited to southern India. Dravidian grammar is unrelated to Indo-European grammar. Retroflex consonants aren’t generally found in Indo-European languages outside of the subcontinent. But historical linguists suspect that Dravidian retroflexes infiltrated the earliest forms of Sanskrit, and so made their way into Sanskrit's descendants in northern India. India's population can be split on hundreds of different lines, with the north-south line one of the most enduring. Could the humble retroflex be a great uniter?